GISCafe Voice: What types of offerings will Hexagon be able to deliver as a result of this combined solution from Hexagon and Huawei that were not able to be delivered before the partnership? Integrated Intelligent Video Surveillance providing video surveillance capability to dispatchers at a control center or triggering alarms from video analytics. JS: The combined Huawei and Hexagon Safe City Solutions help city governments and law enforcement agencies respond to and resolve issues quickly and more efficiently. Based on open standard technologies, they cover the spectrum of public safety needs from emergency planning through response management to investigation and resolution. With the Joint Solution, Hexagon and Huawei offer a pre-integrated communication and management platform for multi-agency rapid call taking and dispatching. 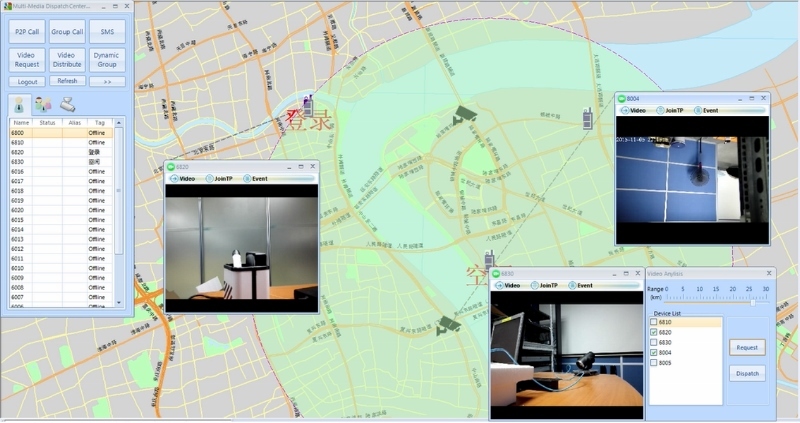 The Joint Solution combines the strength of Huawei’s communication system and Hexagon’s computer-aided dispatch (CAD) solution. By adding Huawei’s eLTE (Enterprise Long-Term Evolution – a broadband private mission-critical network for voice, data and video dispatching and sharing) communication network, we enable a wide range of Safe City applications. Communication channels can be established from VoIP, eLTE and TETRA devices seamlessly. Video from eLTE devices in the field can now be handled by dispatchers, making real-time, on-the-scene video integral part of the decision making process in the command center. Video analysis can be used to trigger alarms that are evaluated by operators who can follow standard procedures and decide how to best respond to each situation based on live video data from the field. The solution also enables event data dispatching, which provides field officers real-time event data at their fingertips and synchronises the command center with every piece of information captured in the field. In addition to regular call notifications, external events such as SMS, MMS, video or multiple sensors/alarms can easily be integrated. GISCafe Voice: Have the two companies been working on technologies together before this partnership, if so what technologies have emerged? JS: Huawei and Hexagon have not collaborated before. This new partnership is a result of a perfect match of extensive infrastructure and deep infrastructure management expertise on the one hand, and leading-edge technologies for public safety and CAD, geo-sensors and GIS on the other hand. In addition, both companies are fully committed to meeting the global challenge of rapidly increasing urbanisation. GISCafe Voice: Is it the intention of Hexagon to embody communications into the smart city models, and if so, how will this be accomplished? JS: Yes, this is accomplished by being able to offer Huawei’s solutions, such as their Internet Protocol Contact Center (IPCC) integrated multi-media contact center, their Intelligent Video Surveillance (IVS) products and their eLTE (Enterprise Long Term Evolution broadband network). These are now integrated to our I/CAD and Security Framework suite of products. GISCafe Voice: Are there any safety and crisis management solutions overlaps in the products offered from both companies? How will those be managed in future solutions? JS: There are no overlaps. Huawei focuses on ICT (Information Communication Technologies) hardware solutions (such as routers, switchers, CCTV cameras, mobile phones and radios), while Hexagon is responsible for the CAD and GIS software components of the software solutions. GISCafe Voice: What is ‘broadband trunking’? GISCafe Voice: What sorts of time/efficiency savings do you see in the combined solution? JS: For an example, let’s take a look at one of our larger public safety customers with more than 11,000 staff and a nationwide jurisdiction of 268,021 km2 (103483 mi2). This existing Hexagon computer-aided dispatch (CAD) customer with a nationwide deployment, has empowered 6,500 frontline officers by giving them the mobile solution. By extending critical CAD capabilities into the field, responders can gain situational awareness, share real-time information, and request resources. This enables officers to reduce trips to the station and improves communications with dispatchers and other responders. And it has resulted in time savings of approximately 520,000 hours annually, effectively putting 345 more officers on the streets each year and an estimated cost savings of USD 177 million over the next 12 years. GISCafe Voice: Do you envision a singular product or line of products emerging from this partnership? 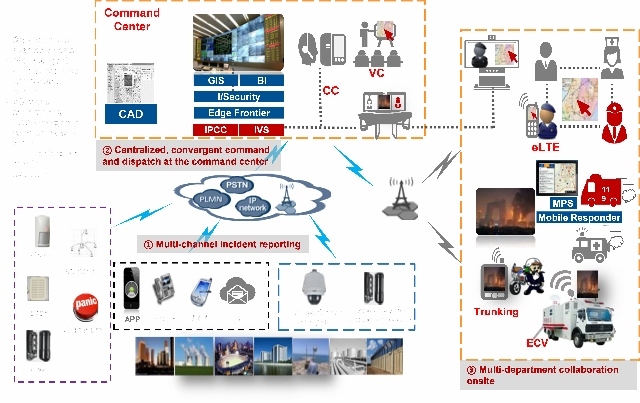 JS: Hexagon’s and Huawei’s Joint Solution currently focuses on Safe City but there obviously are other challenges that could be addressed by tightly coupling powerful software solutions with powerful ICT hardware solutions. This entry was posted on Tuesday, December 1st, 2015 at 8:44 pm. You can follow any responses to this entry through the RSS 2.0 feed. You can leave a response, or trackback from your own site.